A founding member of BrizBrain & Spine, Prof Terry Coyne is a neurosurgeon with specialist skills in brain and spinal surgery. He obtained his medical degree from the University of Queensland in 1983 and finished training as a specialist neurosurgeon in 1991, having worked at the Townsville, Royal Brisbane and Princess Alexandra Hospitals. Prof Coyne continued his neurosurgical training, spending two years completing a post-graduate Fellowship at the University of Toronto, Canada. He returned to Brisbane in 1994 to commence an appointment as a Visiting Medical Officer (Neurosurgeon) at the Royal Brisbane and Royal Children’s Hospitals. He also commenced in private practice at that time. After 11 years of combined public hospital and private practice, Prof Coyne is now in full-time private practice with BrizBrain & Spine. His practice covers a broad range of adult neurosurgery, with particular interest in functional neurosurgery used to treat movement disorders, including Deep Brain Stimulation (performed in conjunction with neurologist Professor Peter Silburn). Prof Coyne was awarded a Medal of the Order of Australia (OAM), as part of the Queen’s Birthday honours in June 2017. The medal, bestowed for ‘service worthy of particular recognition’ recognises Assoc. Prof Coyne for his services to medicine as a neurosurgeon. Prof Coyne is the continental vice-president for Oceania/Australia for the World Society of Stereotactic and Functional Neurosurgery and a Board Member on the Asian-Australasian Society of Stereotactic and Functional Neurosurgery. He is an associate professor at the University of Queensland where he helps lead the Asia-Pacific Centre for Neuromodulation (APCN). Prof Coyne is also an Associate Professor Faculty Medicine at Griffith University and Bond University. 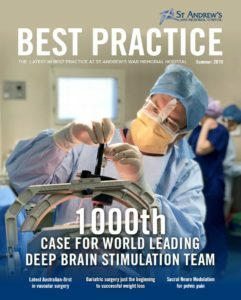 Momentous achievement, 1000 Deep Brain Stimulation operations! World renowned Deep Brain Stimulation (DBS) team, Prof Terry Coyne and neurologist, Professor Peter Silburn, have recently reached a significant milestone in completing their 1000th DBS operation. DBS treatment provides patients with relief from movement disorders, this in turn gives patients better quality of life. Read more about this inspirational teams DBS journey and achievements on Page 8 of St Andrew’s War Memorial Hospital’s, Best Practice, Summer Edition. 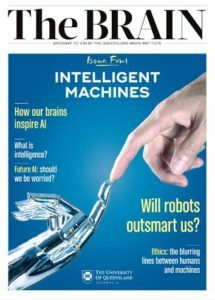 The Queensland Brain Institute has released an interesting article in the, The BRAIN magazine, outlining what Deep Brain Stimulation is, how the treatment has progressed and the exciting future ahead. Jump to page 14-15 to read more. Castner JE, Chenery HJ, Copland DA, Coyne TJ, Sinclair F, Silburn PA (2007) Semantic and affective priming as a function of stimulation of the subthalamic nucleus in Parkinson’s disease. Brain May;130:1395-407. Castner JE, Copland DA, Silburn PA, Coyne TJ, Sinclair F, Chenery HJ (2007) Lexical-semantic inhibitory mechanisms in Parkinson’s disease as a function of subthalamic stimulation. Neuropsychologia Nov 5;45(14):3167-77. Castner JE, Chenery HJ, Silburn PA, Coyne TJ, Sinclair F, Smith ER, Copland DA (2008) Effects of subthalamic deep brain stimulation on noun/verb generation and selection from competing alternatives in Parkinson’s disease. J Neurol Neurosurg Psychiatry Jun;79(6):700-5. Castner JE, Copland DA, Silburn PA, Coyne TJ, Sinclair F, Chenery HJ (2008) Subthalamic stimulation affects homophone meaning generation in Parkinson’s disease. J. Int. Neuropsychol Soc. Sep 14(5):890-4. Silberstein P, Bittar RG, Boyle R, Cook R, Coyne T, O’Sullivan D, Pell M, Peppard R, Rodrigues J, Silburn P, Stell R, Watson P; Australian DBS Referral Guidelines Working Group (2009) Deep brain stimulation for Parkinson’s disease: Australian referral guidelines. J Clin Neurosci. Aug;16(8):1001-8. Thevathasan W, Silburn PA, Brooker H, Coyne TJ, Khan S, Gill SS, Aziz TZ, Brown P (2010) The impact of low-frequency stimulation of the pedunculopontine nucleus region on reaction time in parkinsonism. J Neurol Neurosurg Psychiatry. Oct;81(10):1099-104. Thevathasan W, Coyne TJ, Kerr G, Jenkinson N, Aziz T, Silburn PA. (2011) Pedunculopontine Nucleus Stimulation Improves Gait Freezing in Parkinson’s Disease. Neurosurgery, 69: 1248-1254. Macdonald RL, Wallace MC, Coyne TJ. (1994) The effect of surgery on the severity of vasospasm. Journal of Neurosurgery, 80:433-439. Tattersalli TL, Strattoni PG, Coyne TJ, Cook R, Silberstein P, Silburn PA, Windelsi F, Sah P. (2014) Imagined gait modulates neuronal network dynamics in the human pedunculopontine nucleus. Nature Neuroscience, 17:449-454. Nuttin B, Wu H, Mayberg H, Hariz M, Gabriels L, et al. (2014) Consensus on guidelines for stereotactic neurosurgery for psychiatric disorders. J Neurol Neurosurg Psychiatry. Sachdev P, Mohan A, Cannon E, Crawford J, Silberstein P, Cook R, Coyne T, Silburn P. Deep Brain Stimulation of Antero-Medial Globus Pallidus Interna for Tourette Syndrome. PLOS One, 9(8): e104926 2014. Alexander H, Tannenburg A, Walker DG, Coyne T. Progressive dysembryoblastic neuroepithelial tumour. J Clin Neurosci. 2014 Oct 10. Poortvliet PC, Silburn PA, Coyne TJ, Chenery HJ. (2014) Deep brain stimulation for Parkinson disease in Australia: current scientific and clinical status. Intern Med J, 45(2):139-9. Fytagoridis A, Silburn PA, Coyne TJ, Thevathasan, W. (2016) “Understanding The Human Pedunculopontine Nucleus In Parkinson’s Disease”. Journal of Neural Transmission 123.1, DOI: 10.1007/s00702-016-1505-x. Waak M, Mohammad SS, Coman D, Sinclair K, Copeland L, Solburn P, Coyne T, McGill J, O’Regan M, Selway R, Symonds J, Grattan Smith P, Lin JP, Dale RC, Malone S. GNAO1-related movement disorder with life-threatening exacerbations: movement phenomenology and response to DBS. J Neurol Neurosurg Psychiatry. 2018; 89 (2) :221-221. Mosley PE, Smith D, Coyne T, Silburn P, Breakspear M, Perry A. The site of stimulation moderates neuropsychiatric symptoms after subthalamic deep brain stimulation for Parkinson’s disease. NeuroImage: Clinical. 2018; 18: 996-1006. Mosely PE, Marsh R, Perry A, Coyne T, Silburn P. Persistence of Mania After Cessation of Stimulation Folllowing Subthalamic Deep Brain Stimulation. J Neuropsychiatry Clin Neurosci. 2018; 30(3): 246-249. Mosley PE, Breakspear M, Coyne T, Silburn P, Smith D. Caregiver Burden and Caregiver Appraisal of Psychiatric Symptoms are not Modulated by Subthalamic Deep Brain Stimulation for Parkinson’s Disease. NPJ Parkinsons Dis. 2018 Apr 17;4:12. Doi: 10.1038/s41531-018-0048-2. eCollection 2018. Martinez-Ramirez D, Jimenez-Shahed J, Leckman JF, Porta M, Sevello D, Meng FG, Kuhn J, Huys D, Baldermann JC, Foltynie T, Hariz MI, Joyce EM, Zrinzo L, Kefalopoulou Z, Silburn P, Coyne T, Mogilner AG, Pourfar MH, Khandar SM, Auyeung M, Ostrem J, Visser-Vanderwalle V, Welter ML, Mallet L, Karachi C, Houeto JL, Klassen BT, Ackermans L, Kaido T, Temel y, Gross RE, Walker HC, Lozano AM, Walter BL, Mari Z, Anderson WS, Changizi BK, Moro E, Zauber SE, Schrock LE, Zhang JG, Hu W, Rizer K, Monari EH, Foote KD, Okun MS. Efficacy and Safety of Deep Brain Stimulation in Tourette Syndrome: The International Tourette Syndrome Deep Brain Stimulation Public Database and Registry. JAMA Neurol. 2018:75 (3); 353-359. Perera T, Tan JL, Cole MH, Yohanandan SAC, Silberstein P, Cook R, Peppard R, Aziz T, Coyne T, Brown P, Silburn PA, Thevathasan W. Balance Control Systems in Parkinson’s disease and the impact of pedunculopontine area stimulation. Brain. 2018:141 (10); 3009-2022. Veretennikoff K, Coyne T, Biggs V, Robinson G. Executive Dysfunction Following Fourth Ventricle Epidermoid Cyst Resection. Cognitive and Behavioural Neurology. 2018:31(4); 207-213. Neuromodulation and Gait. Canadian Neuromodulation Society Annual Meeting, Whistler, Canada, February 2018. Neuromodulation for Gait Disorders in Parkinson’s Disease. Asian Australasian Society of Stereotactic and Functional Neurosurgery Scientific Meeting, Sun Moon Lake (Taiwan), April 2018. Deep Brain Stimulation for Pain. RACS Annual Scientific Meeting, Sydney, May 2018. Asian Australasian Society for Stereotactic and Functional Neurosurgery Update. American Society for Stereotactic and Functional Neurosurgery Biennial Meeting, Denver, June 2018. Mosley PE, Smith D, Coyne T, Silburn P, Breakspear M, Perry A. The site of stimulation moderates neuropsychiatric symptoms after subthalamic deep brain stimulation for Parkinson’s disease. American Society for Stereotactic and Functional Neurosurgery Biennial Meeting, Denver, June 2018. Deep Brain Stimulation for Pain. Boston Scientific Future Directions in DBS meeting, Sydney, June 2018. DBS for Parkinson’s Disease – Current Status. 3rd Minimally Invasive Neurosurgery Conference, Shenzhen, September 2018. Mosely P, Paliwal S, Perry A, Smith D, Silburn P, Coyne T, Tittgemeyer M, Stephan K, Breakspear M. Brain Networks Predicting Impulsitivity after Subthalamic Deep Brain Stimulation for Parkinson’s Disease. European Society for Stereotactic & Functional Neurosurgery Biennial Congress, Edinburgh, September 2018. O’Maley K, Silburn P, Cooke L, Coyne T. Deep Brain Stimulation Programming. A Clinic Experience of Programming Session Routine and Time Management. European Society for Stereotactic & Functional Neurosurgery Biennial Congress, Edinburgh, September 2018. Case Presentations in Functional Neurosurgery. Royal Melbourne Hospital Controversies in Neurosurgery, Melbourne, November 2018. Surgery for Movement Disorders. Parkinson’s & Movement Disorder Patient and Carer Information Session. Toowoomba, March 2018. Concussion in Sport. General Practice Sports Medicine Conference, Brisbane, April 2018. DBS Surgery. Boston Scientific DBS Nurse Education Day, Brisbane, May 2018. Head Injury. Longreach Hospital and General Practitioner Education Meeting, Longreach, July 2018. Surgery for Movement Disorders. Parkinson’s & Movement Disorder Patient and Carer Information Session. Redland Bay, July 2018. Concussion in Sport. Australian Insurance lawyers Association Meeting, Brisbane, August 2018. Innovations in DBS. St Andrew’s Hospital General Practice Education Conference, Gold Coast, November 2018. Spinal Surgery. WorkCover Queensland Education Lecture, Brisbane, November 2018. Professor Huitian Yu and Dr Rong Kang Mai (neurosurgeons), Bao’an People’s Hospital, Shenzhen, China. December 2018. Professor Huitian Yu and Dr Rong Kang Mai (neurosurgeons), Bao’an People’s Hospital, Shenzhen, China. June/July 2018. President, Asian Australasian Society of Stereotactic and Functional Neurosurgery. Board Member, World Society of Stereotactic and Functional Neurosurgery. Board Member, Asian Australasian Society of Stereotactic and Functional Neurosurgery. Medical Advisory Committee, St Andrew’s Hospital. Beyond Borders – Innovations in Deep Brain Stimulation, Melbourne, February 2018. Australian and New Zealand Society for Neuromodulation Annual Scientific Meeting, Sydney, April 2018. Medico-Legal Society of Queensland Annual Conference, Gold Coast, August 2018. 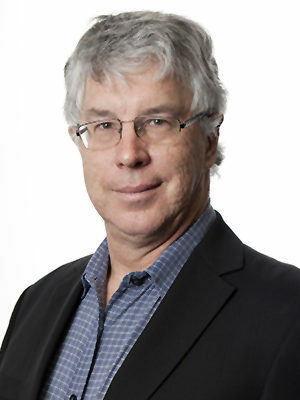 Professor Michael Morgan Festschrift Seminar, Sydney, August 2018. AMAQ Private Practice & Medico-Legal Conference – Thinking Outside the Square, Brisbane, September 2018. European Society of Stereotactic and Functional Neurosurgery Biennial Congress, Edinburgh, September 2018. NSW State Insurance Regulatory Authority Assessor Training Day, Sydney, October 2018. Coyne T. Neuropsychological outcomes after subthalamic nucleus deep brain stimulation. Annals of Translational Medicine. 2017; 5(10), 215. Giorni A, Windels F, Stratton PG, Cook R, Silberstein P, Coyne T, Silburn PA, Sah P. Single-unit activity of the anterior Globus pallidus internus in Tourette patients and posterior Globus pallidus internus in dystonic patients. Clinical Neurophysiology. 2017; 128, 2510-2518. Spinal Epidural Abscess/Bias in Medical Negligence Reports. Britain Pacific Medico-Legal Conference, London, January 2017. Neurosurgery for Movement Disorders. Australian and New Zealand College of Anaesthetists Annual Scientific Meeting, Brisbane, May 2017. Single unit activity of the anterior and posterior internal globus pallidus in subjects with Tourette syndrome and dystonia. Opto-DBS, Geneva, June 2017. Treatment of Tourette with GPi stimulation. World Society of Stereotactic and Functional Neurosurgery Quadrennial Scientific Meeting, Berlin, June 2017. Challenging Cases in Neuromodulation. World Society of Stereotactic and Functional Neurosurgery Quadrennial Scientific Meeting, Berlin, June 2017. Predicting Psychiatric Symptoms after Subthalamic Deep Brain Stimulation for Parkinson’s disease. World Society of Stereotactic and Functional Neurosurgery Quadrennial Scientific Meeting, Berlin, June 2017. Multiple single unit activity in ventral intermediate thalamus of essential tremor patients during intention tremor. World Society of Stereotactic and Functional Neurosurgery Quadrennial Scientific Meeting, Berlin, June 2017. Single unit activity of the anterior and posterior internal globus pallidus in subjects with Tourette syndrome and dystonia. World Society of Stereotactic and Functional Neurosurgery Quadrennial Scientific Meeting, Berlin, June 2017. Deep Brain Stimulation for Tourette’s Syndrome. Symposium on Neuromodulation for Movement and Psychiatric Disorders, Karolinska Institute, Stockholm, June 2017. Deep Brain Stimulation of the Pedunculo-Pontine Nucleus in Parkinson’s Disease. Symposium on Neuromodulation for Movement and Psychiatric Disorders, Karolinska Institute, Stockholm, June 2017. New Technology in DBS. World Federation of Neurosurgical Societies Congress, Istanbul, August 2017. DBS for Tourette’s Syndrome. World Federation of Neurosurgical Societies Congress, Istanbul, August 2017. Heard T, Coyne T, Silburn P. Deep Brain Stimulation and Cardiac pacemakers Do Not Interfere: A Case Series. Neurosurgical Society of Australasia Annual Scientific Meeting, Adelaide, August 2017. Medico-Legal Report Writing. RACS Medico-Legal CPD Workshop, Brisbane, September 2017. Deep Brain Stimulation Overview. PINS Research Laboratory Neuromodulation Symposium, Beijing, October 2017. 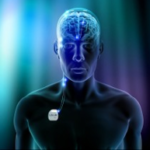 New Technology in Deep Brain Stimulation. Shenzhen Bao An People’s Hospital (Group) Neuromodulation Symposium, Shenzhen, October 2017. DBS for Gilles de la Tourette’s Syndrome. APCN Deep Brain Stimulation Syndrome, Brisbane, November 2017. Mosely PE, Breakspear M, Coyne T, Silburn P, Smith D, Perry A. Neuropsychiatric Aspects of Subthalamic Deep Brain Stimulation for Parkinson’s Disease. APCN Deep Brain Stimulation Syndrome, Brisbane, November 2017. Mosely PE, Breakspear M, Coyne T, Silburn P, Smith D. Caregiver Burden and Caregiver Appraisal of Non-Motor Symptoms in Parkinson’s Disease are not modulated by Subthalamic Deep Brain Stimulation. APCN Deep Brain Stimulation Syndrome, Brisbane, November 2017. Giorni A, Windels F, Silburn P, Coyne T, Stratton P, Sah P. Multiple Single Unit Activity in Ventral Intermediate Thalamus of Essential Tremor Patients During intention Tremor. APCN Deep Brain Stimulation Syndrome, Brisbane, November 2017. Dang TTH, Rowell D, Liddle J, Coyne T, Silburn P, Connelly L. Economic Evaluation of Deep Brain Stimulation for Patients with Tourette’s Syndrome: An Initial Exploration. APCN Deep Brain Stimulation Syndrome, Brisbane, November 2017. Surgery for Movement Disorders. Parkinson’s & Movement Disorder Patient & Carer Information Session, Tweed Heads, April 2017. Brain Tumours – How They Present. BrizBrain & Spine CPD Meeting, Gold Coast, June 2017. Professor Huitian Yu, Department of Neurosurgery, 8th People’s Hospital, Bao An District, Shenzhen, China (March 2017). Professor Huitian Yu, Department of Neurosurgery, 8th People’s Hospital, Bao An District, Shenzhen, China (November 2017). APCN Deep Brain Stimulation Syndrome, Brisbane, November 2017. Liability Reports & Peer Professional Opinion. Medico-Legal Society of Qld Workshop, Brisbane, May 2017. Canadian Neurological Sciences Federation Congress, Victoria, June 2017. Medico-Legal Society of Queensland Annual Conference, Gold Coast, August 2017. AMAQ Annual Conference, Rome, September 2017. The Fourth International Symposium on Brainnetome Meets Genome, Beijing, October 2017. Deeb, W, Rossi PJ, Porta M, Visser-Vanderwalle V, Servello D, Silburn P, Coyne T, Leckman JF, Foltynie T, Hariz M, Joyce EM, Zrinzo L, Kefalopoulou Z, Welter M-L, Karachi C, Mallet L, Shahed-Jimenez J, Meng F-G, Klassen BT, Mogilner AY, Pourfar MH, Kuhn J, Ackermans L, Kaiso T, Temel Y, Gross RE, Walker HC, Lozano AM, Khandhar SM, Walter BL, Walter E, Mari Z, Changizi BK, Moro E, Baldermann JC, Huys D, Zauber SE, Schrock LE, Zhang J-G, Hu W, Foote KD, Rizer K, Mink JW, Woods DW, Gundez A, Okun MS. The International Deep Brain Stimulation Registry and Database for Gilles de la Tourette Syndrome: How Does It Work? Frontiers of Neuroscience 10:170, epub 25 April 2016. Fytagoridis A, Silburn PA, Coyne TJ, Thevathasan W. Understanding the Human Pedunculopontine Nucleus in Parkinson’s Disease. Journal of Neural Transmission, 2016, 123 (7), 769-774. Fytagoridis A, Heard T, Samuelsson J, Zsigmond P, Jiltsova E, Skyrman S, Skoglund T, Coyne T, Silburn P, Blomstedt, P. Surgical Replacement of Implantable Pulse Generators in Deep Brain Stimulation: Adverse Events and Risk Factors in a Multicenter Cohort. Steretact Funct Neurosurg, 2016, 94:235-239. Hamani C, Aziz T, Bloem BR, Brown P, Charbades S, Coyne T, Foote K, Garcia-Rill E, Hirsch EC, Lozano AM, Mazzone PAM, Okun MS, Hutchison W, Silburn P, Zrinzo L, Alam M, Goetz L, Pereira E, Rughani A, Thevathasan W, Moro E, Krauss JK. Pedunculopontine Nucleus Region Deep Brain Stimulation in Parkinson Disease: Surgical Anatomy and Terminology. Stereotact Funct Neurosurg 2016;94:298-306. Hamani C, Lozano AM, Mazzone PAM, Moro E, Hutchison W, Silburn PA, Zrinzo L, Alam M, Goetz L, Pereira E, Rughani A, Thevathasan W, Aziz T, Bloom BA, Brown P, Chabardes S, Coyne T, Foote K, Garcia-Rill E, Hirsch EC, Okun MS, Krauss JK. Pedunculopontine Nucleus Region Deep Brain Stimulation in Parkinson Disease: Surgical Techniques, Side Effects, and Post-Operative Imaging. Stereotact Funct Neurosurg 2016;94:307-319. The Brain (Issue 1). Concussion. Published by The Queensland Brain Institute, June 2016. Adverse Events & Risk Factors in Pulse Generator Replacement. 10th Scientific Meeting of the Asian Australasian Society for Stereotactic & Functional Neurosurgery. Cairns, March 2016. Update on Brain Stimulation – When to Refer and for What. Neuromodulation Society of Australia & New Zealand Annual Scientific Meeting, Perth, March 2016. Medico-Legal Aspects of Spinal Epidural Abscesses. RACS/AOA Med-Law Meeting, Noosa, August 2016. Bias in Medical Negligence Reports. Neurosurgical Society of Australasia Annual Scientific Meeting, Sydney, September 2016. How Movement Disorders can be Treated with Deep Brain Stimulation. Fraser Coast Medical Education Evening, Hervey Bay, March 2016. Surgery for Parkinson’s Disease. Caboolture Parkinson’s Disease Support Group, Burpengary, May 2016. Deep Brain Stimulation. Kingston General Hospital Neurosurgical Rounds, Kingston, Canada, June 2016. Concussion Update. BrizBrain & Spine General Practitioner Education Meeting, Noosa, August 2016. Brain Tumour Clinic. BrizBrain & Spine General Practitioner Education Meeting, Noosa, August 2016. RACS Annual Scientific Meeting, Brisbane, May 2016. American Association of Stereotactic & Functional Neurosurgery Biennial Meeting. Chicago, June 2016. Medico-Legal Society of Qld Annual Conference. Gold Coast, August 2016. The Aging Spine Symposium. Melbourne, August 2016.